3 Different Ways To Transfer Files From Android To PC | GUI Tricks - In Touch With Tomorrow! 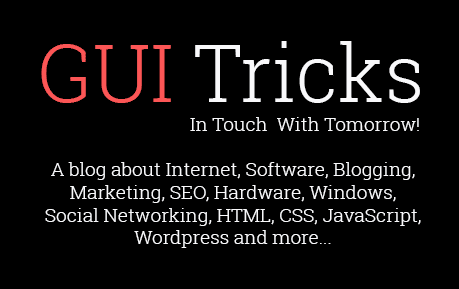 3 Different Ways To Transfer Files From Android To PC - GUI Tricks - In Touch With Tomorrow! Whenever if you need to transfer files from Android to PC, then you use different methods to transfer. Majority of us knows only one way via Data Cable. Transferring through data cable is a very good and easy way. But sometimes, it may be harmful. Actually, if you don’t know that is transferring device secure or not then you can get into a trouble. Well! That doesn’t matter, which way you use. But it’s important that how many ways do you know about to transfer files or data from Android to PC. It’s important because suppose if you know, only one way to transfer via data cable, but cable is not available at that time then what would you do? So that’s why every user should know about other ways too. Here In this article, I shared 3 ways to transfer data. Using data cable is very easy and most of us knows also. But transferring via Bluetooth and Wifi are not very common. So if you don’t know about two other ways then must try to know. These may be helpful for you in a difficult time. As I said above, this way is very common. But always remember, it’s very effective too. According to a survey, there are lots people who used this way and faced different problems while using. So first thing about it, this way may be effective and second is, sometimes it creates bug or lag while transferring and doesn’t complete transferring process completely. But don’t worry if you transfer your data by following my steps then you can do the process completely and secure. So to secure transferring, when you connect your Android device with computer then select USB tethering option in Settings > Tethering and Portable hotspot. Now, turn your attention to your Windows computer and open Windows Explorer and search for your connecting Android device, that should be displayed by Model name. An important note, if you’re connecting Android device first time, then Windows will take few moments and show some drivers that may be necessary or not. If you think that you won’t connect this device again then skip all updates and just follow above. Otherwise, install updates first and then connect your device. Connecting via Wifi is another best way, but majority of us is not aware about it. From recently few years, Android manufacturers have been introducing direct wifi support. It’s very similar as Bluetooth, but transferring through Wifi is much faster. This way doesn’t work easily. You have to use an app to take over this. SuperBeam is a free application to do this work, but here you will have to use its pro version to connect android device with PC via Wifi. When this app installed on your Android device, now you’ll need to use Windows Companion app which requires Java runtime environment to run. So after that, run this and select ‘Receive’ and press the Enter. Your data will be transferred. Transferring speed depends on size and device distance. Although primarily used as a Wifi direct app, but SuperBeam also supports NFC, sharing through QR code and also using existing Wifi networks for sharing. This way is especially for those, who have Bluetooth opportunity. New generation laptops have Bluetooth option for connectivity. So if you’ve a laptop then you should apply this one way also. So simply enable both devices Bluetooth options and establish connection between them. After that, chose your transferring file in Android device that you wanna migrate. Use Android share button to use Bluetooth to share data and select your PC in the subsequent list. Find the Bluetooth icon in the system tray meanwhile in Windows, then right-click and select Receive a file and click Next to transfer. Once everything has been done, I mean transferred. A notice, you will receive that “The file transfer has completed successfully.” That’s it! So these were 3 different ways to trasnfer file or data from Android to PC. Actually, we are not aware much, but can we not be? So this article is covered on three different methods to transfer file or data from Android to PC. First method is very common, i've already said about it, but second and third are quite hard, but useful. So must try them, if whenever you get a chance for connectivity between Android and PC. Give your views about this article and must share with others, if you find help here. I don't properly understood about the wifi transfer option.